Sorry Emily, but for many, Andrews’ Oscar-winning portrayal of P.L. Travers’ magical nurse is the definitive on-screen nanny. She sings, she flies, she pulls the impossible out of her carpet bag and does it all with wit and charm. Julie Andrews’ Mary is supercalifragilisticexpialidocious. What more would you want or need? What more would you want or need? Nuns and Nazis obviously. A year after “Poppins,” Andrews returned as Maria Von Trapp, the singing nun turned nanny of seven wayward children. Andrews’ effortless performance of musical classics and her natural warmth shine through, earning her another Oscar nomination. In “Mrs. Doubtfire,” Williams’ character poses as his children’s nanny in order to spend more time with them after his divorce. So, that’s Williams playing the role of Daniel playing the role of Mrs. Doubtfire—talk about meta! Conveniently, Daniel’s idea of the perfect nanny is a fast-talking Scottish granny, the perfect fit for Williams’ comedic talents. Critics agreed in the main, and even now it’s one of the late actor’s most-loved roles. Nannies aren’t all jolly and magical. Some are psychopaths hell-bent on vengeance against you and your perky offspring. De Mornay is brilliantly evil as the nanny from hell in this 1992 thriller. Not only does she breastfeed her charge and make everyone question their sanity, she also pretends to be a nanny called Peyton Flanders. Fabulous. 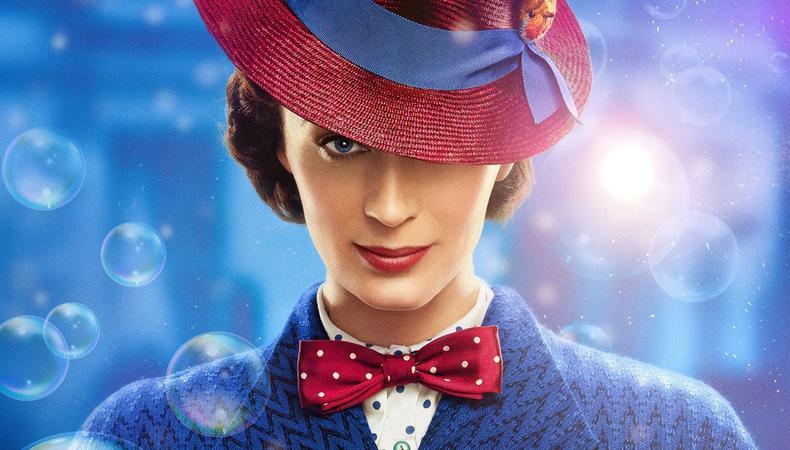 Nannies and magic seem to be a very natural fit on the big screen. Following in the magical footsteps of Mary P is Thompson as Nanny McPhee. Buck-toothed and brilliant, this nanny is not to be messed with—her spoonful of sugar is definitely not 100 percent sweet. Thompson shines in a script she adapted. Governess Miss Froy is the titular lady who vanishes in Hitchcock’s brilliant thriller. Memorably played by Dame May Whitty, Miss Froy is never seen tending any children—but maybe that’s because this tweedy nanny is not all she seems. Dame May brings mystery and mischief to the role, and incidentally went on to help create the actors’ union Equity! Thanks, DMW! Johansson plays Annie Braddock, nanny to a dysfunctional but very, very rich Manhattan family. She’s entertainingly baffled by the task in hand and by the Harvard Hottie who catches her eye. It’s interesting to see Johansson in a light comedic role you wouldn’t naturally associate her with. Intense, introspective and damaged—yes, that’s right Dorothy, we’re not in Mary Poppins territory anymore. Wasikowska brings Charlotte Brontë’s troubled governess into the 21st century. Still waters run deep, especially when those waters are all wrapped up in bonnets and crinolines and presented with Michael Fassbender’s Mr. Rochester. Wasikowska dominates this updated period drama. OK, so not strictly a nanny as such, but Alan does have primary childcare responsibilities when it comes to Baby Carlos, the infant he inexplicably finds in a Vegas cupboard the morning after the wild night before. The gruff, taciturn Galifianakis ensures his charge makes it back home in one piece, channeling his inner Poppins in the process, which makes him a winning filmic nanny.